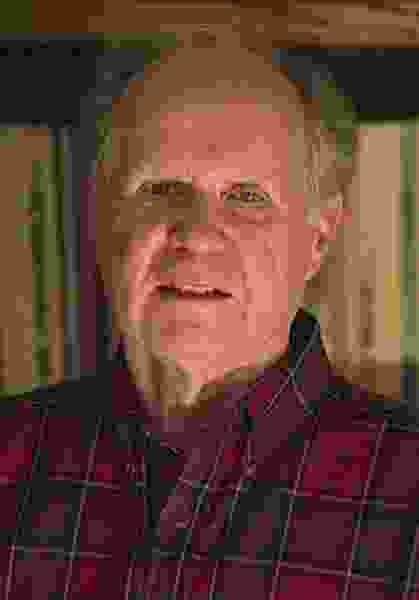 Grant Hart Palmer, whose seminal “insider’s” critique of the Book of Mormon’s origins and other writings challenging official LDS Church history led to his disfellowshipment and later exit from membership in his lifelong faith, has died after a long struggle with cancer. Palmer died Monday at age 77. Funeral services were set for 11 a.m. Friday at Larkin Sunset Gardens, 1950 E. Dimple Dell Road (10600 South), Sandy. Palmer’s writings were the culmination of his more than three decades in the Church Educational System, including many years directing collegiate LDS Institutes of Religion and high school Mormon seminary programs. He wrote numerous works on the history of The Church of Jesus Christ of Latter-day Saints and its leaders and doctrines, as well as the nature of Jesus. However, it was his 2002 book, “An Insider’s View of Mormon Origins,” that Palmer contended led to a six-hour disciplinary hearing in 2004 that ended with him being disfellowshipped from the Utah-based faith — an action by church leaders that barred him from serving in church positions, speaking or publicly praying at LDS meetings, or partaking of the faith’s weekly sacrament (communion). While disfellowshipment in the LDS Church falls short of excommunication, Palmer, purportedly under threat of outright ouster over later writings, formally resigned his membership in an Oct. 25, 2010, letter to ecclesiastical leaders. “An Insider’s View of Mormon Origins,” published by Signature Books, contended that his faith’s foundational scriptural tome, the Book of Mormon, reflected 19th-century theological thinking, not the religious battles of ancient America, as members believe. Palmer further argued that Mormon founder Joseph Smith, who said he translated the Book of Mormon from gold plates, embellished his divine revelations to respond to critics and to stabilize the then-budding religion. Such assertions, Palmer’s lay LDS bishop at the time asserted, harmed the faith of other Mormons — a charge Palmer insisted was never his intention. Dehlin, himself excommunicated in 2015 from the LDS Church for apostasy, recalled recently speaking with Palmer, who had become a pigeon fancier in his retirement, about what he hoped the afterlife would be like. The LDS Church declined to comment on Palmer’s passing. Palmer was born Aug. 17, 1940, as the first of seven sons to Merlin and Elna Palmer of Salt Lake City, according to his obituary. He went on to earn a bachelor’s degree from the University of Utah and a master’s degree in U.S. history from LDS Church-owned Brigham Young University. He also was an active member of the Mormon History Association. He is survived by his wife, Connie, four children, five stepchildren and 13 grandchildren.